Saturday February 20th at 1555 hrs. a 911 call was received for a fire in a sunroom on Creek St. As volunteers responded heavy black smoke could be seen coming from the general area of where the address was located. The first arriving Chief (3C27) immediately declared a working fire as a quick moving fire had engulfed the garage and an apartment above it and was also spreading into the main portion of the house. Penfield's Quint 370 and West Webster's 123 were the first units on location. Quint 370 deployed a 2.5” Blitzfire line to knock down the fire in the garage and apartment while Engine 123 assisted in setting up a water supply for Quint 370. 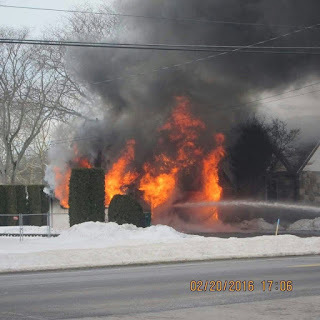 Additional handlines were deployed from Quint 370 to attack the fire that had entered the house. 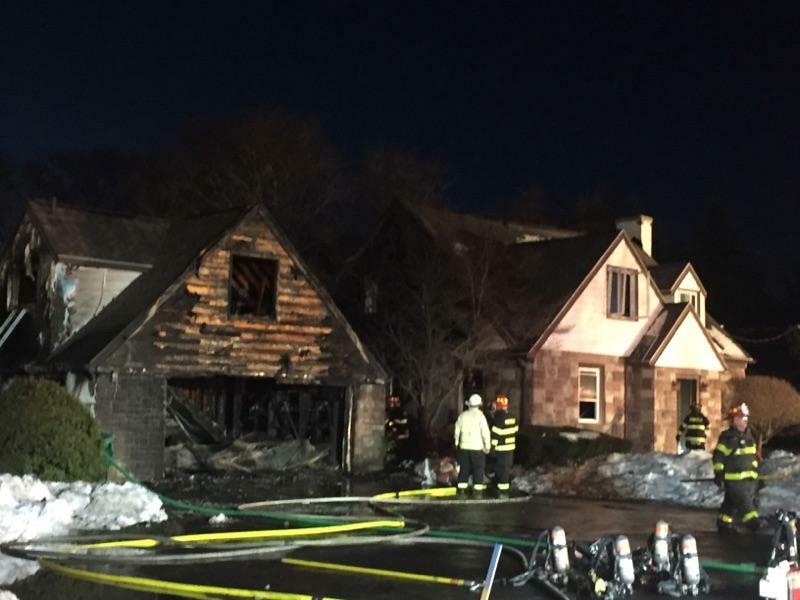 Crews found the fire had penetrated parts of all levels from the basement to the attic. 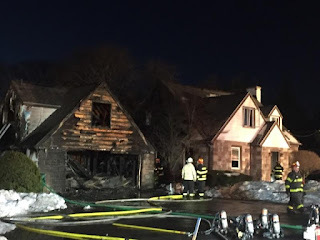 The origin of the fire appeared to have been in the area of a sunroom which was located off the back of a breezeway that connected the house and the garage. This breezeway gave the fire quick access to both sections of the residence. 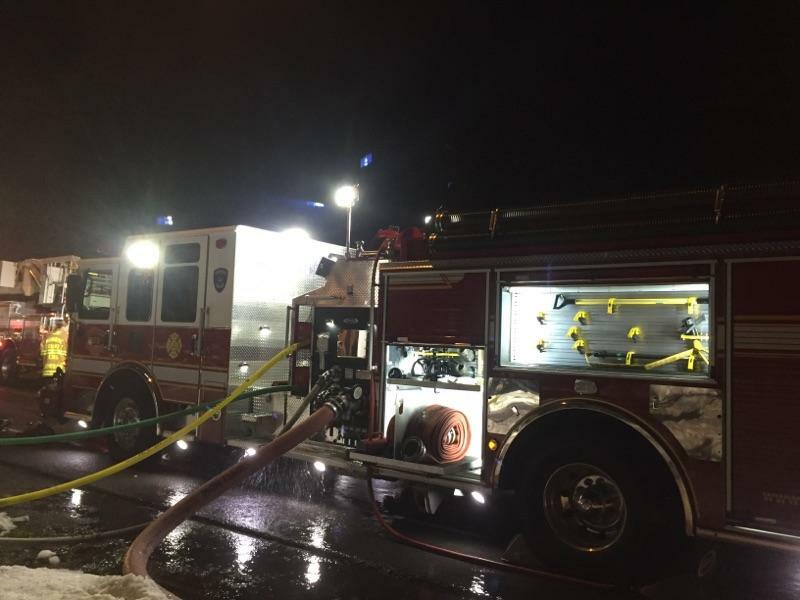 Penfield Engine 373 deployed several attack lines while establishing a water supply with the assistance from Brighton Engine 305. 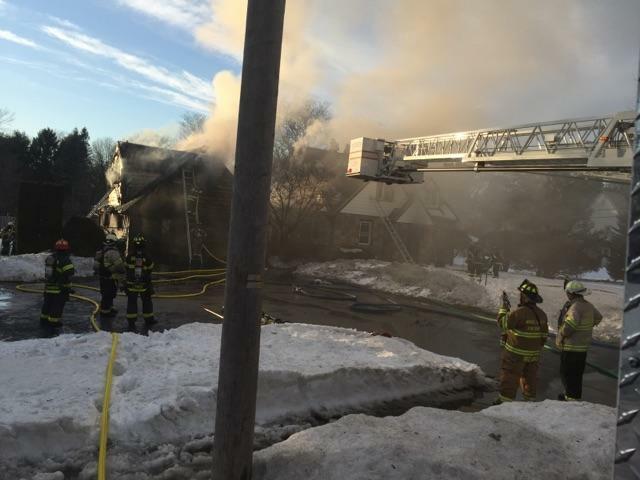 Other assistance at the scene included an engine from Webster and East Rochester while Fairport and West Walworth provided fill in coverage. Crews remained on scene for several hours performing overhaul. The cause of this fire is still under investigation.